Bandai will release the following figures of BW Dewott set in the beginning of June 2011. 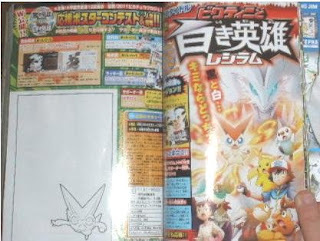 Bandai will release he following Attacks (Kimewaza) Pokemon Kids BW 1 in May 2011. Photo is uploaded to the following previous post. BTW as for Tomy MC promotion figure, store means located in Japan, PokeCen, ItoYokado, Jascio, Toyzirs and major electric stores (BigCamera, Yodobashi etc) except for net stores. Continued yesterday AOU post. Found some more pics, especially Pikachu series and 'My Pokemon Collection'. Pics divide into the following links. AOU (Amusement Machine Operators Expo 2011 Tokyo, game prize show) is holding 18 to 19 February 2011. Yesterday for the press and amusement industry persons, today for public. Osaka will be held on 24 February. 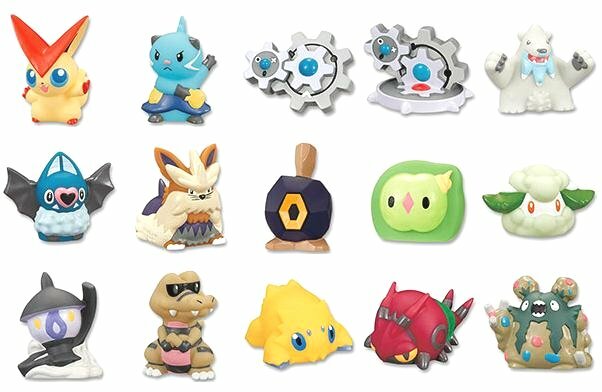 Following links are Banpresto booth report, Pokemon plush and goods will be released in July to September mainly. This time AAPF does not have time to visit, will add the link if find some more info. Thanks for the udating blog to Pirobori. To be continued to the next post. 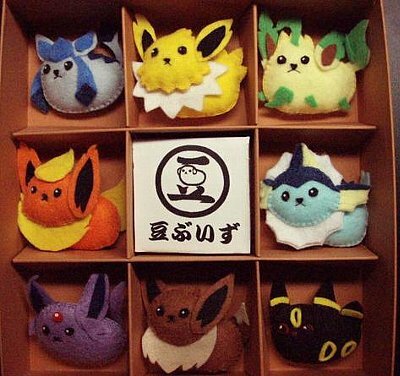 New Pokemon plush series 'My Pokemon Collection', every Unova Pokemon UFO game plushies series, Banpresto announces that launch the official site on 18 February 2011. MPC has the following new enjoyment using mobile phone. Official site will be updated more later and mobile site will run on 19 March 2011, now showing sample pages, also has linkage of plush developer's blog. As for MPC other info (release line, schedule etc), please read these posts. 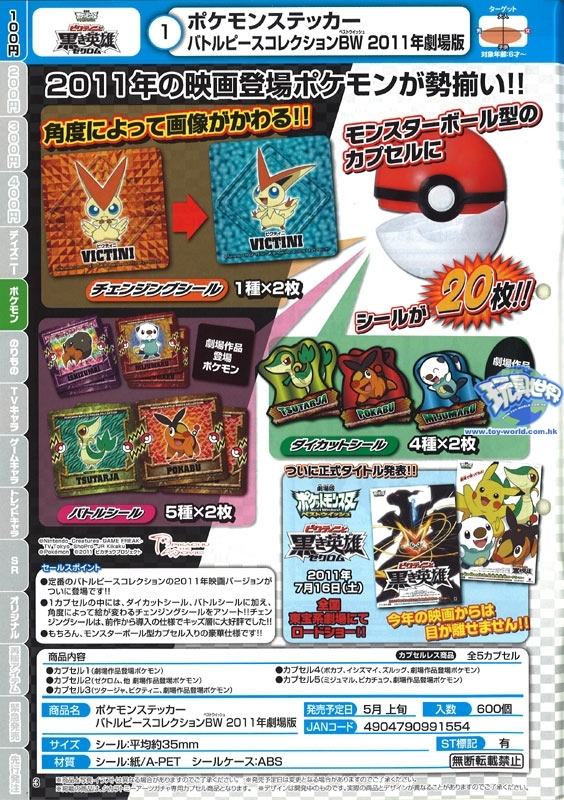 Quarterly Pokemon information magazine Pokemon Fan Vol. 16 from Shougakukan has been published on 18 Februrary 2011. The bonus (free gift) of Vol.6 are magnet, stickers, movie small poster etc, please refer to the official page. 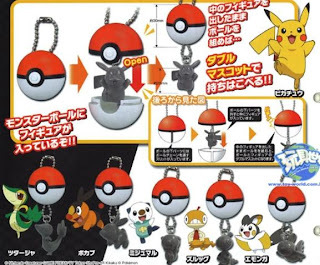 In the magazine, AAPF confirmed that nothing special/new info on the movie 14th and plush series 'My Pokemon Collection'. 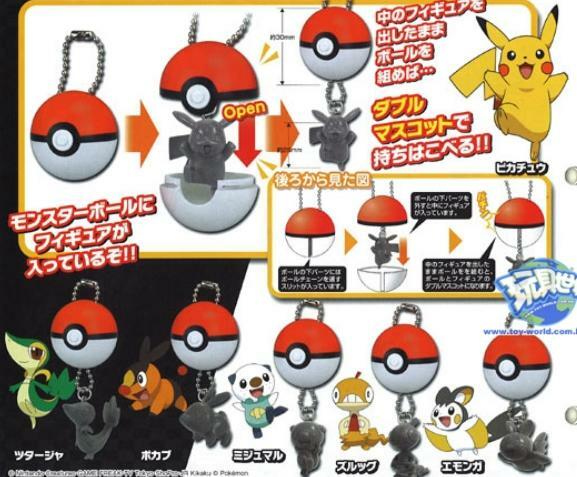 As for previous Pokemon Fan figures bonus, please refer to this post. 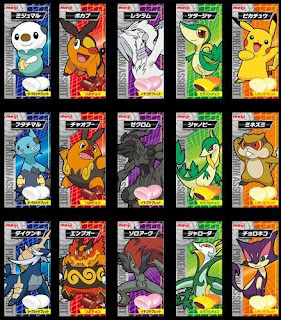 Japanese confectionery and pharmaceutical company Meiji Seika, Ltd releases the Pokemon Big Gum and Assort Candy on 8 February 2011. According to Spanish game info site MeriStation, No release Pokemon game Gray that minor update version of Pokemon White and Black, Gamefreak designer Ms Nana Ido told it in London the official European presentation. MeriStation : Nintendo: "No habrá un 'Pokémon Gris' en 3DS"
"movie leading character Ash and Pikachu join to the battle of harvest festival at Aintork where the sons of earth live, then meet mysterious Pokemon Victini. This introduction is common in the two movies. In movie 'The Black Hero', Zekrom appears when admits the human who is questing for the ideal. In case of 'The White Hero', Reshiram appears when admits the human who is questing for the truth." Pokemon 14th new movie 'The White Hero Reshiram' and the following points are confirmed by the movie site officially today. 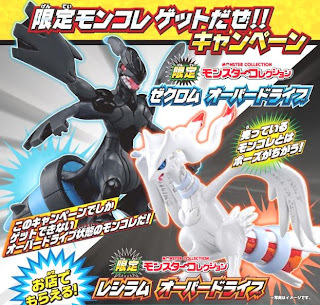 Another movie 'The White Hero Reshiram' is confirmed by CoroCoro magazine March 2011, here is the new poster. Thanks for the images to shellspider. Here is the new poster from official site. Just short info, some of Corocoro magazine March pages are uploaded at Yahoo JP question board today. Two movies will be released, another one is "The White Hero Reshiram". Will update details later.Poster is confirmed, please refer to this post. 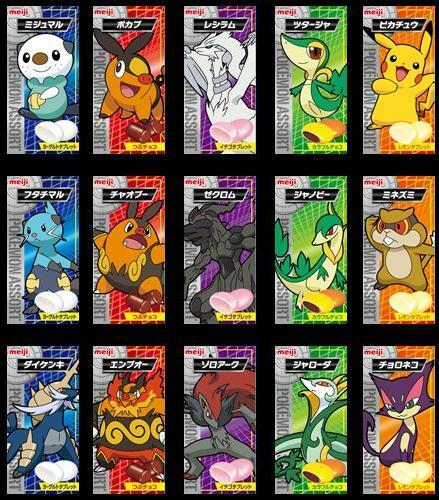 Ensky will release the following Pokemon BW sticker (Seal Chips Gum) on 2 March 2011. One package contains 40 stickers randomly and 2 chewing gum. Sticker size : 2cm. 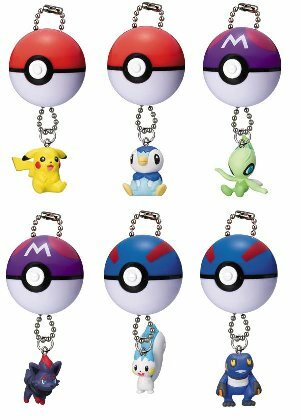 merchandise info that released 1999 to 2003 from Pokemon Center Japan, free paper 'Pokemon Center News' are uploaded. Would recommend to check the blog once, it is possible to find new treasure you never seen. Takara Tomy ARTS (TTA) will release the following Pokemon Sticker Battle Piece Collection BW 2011 Movie version in the beginning of May 2011. There is vealed Pokemon in the preview as usual. Will update/replace the pic later. As one remarkable point, Victini sticker is "Changing sticker", Victini's deference pose can be seen by the angle. Is it something metaphor ? Pokemon Movie official site updates the following count down for important announcement on a new legend last night. It will be known on 15 February 2011. 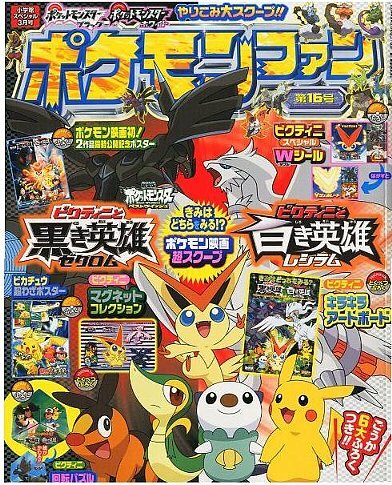 Also same day, Shougakukan will publish Corocoro magazine （March). Photos for Pokemon Figure Pokemon Kids BW 4 and DX BW 2 from Bandai are uploaded to the following previous posts. 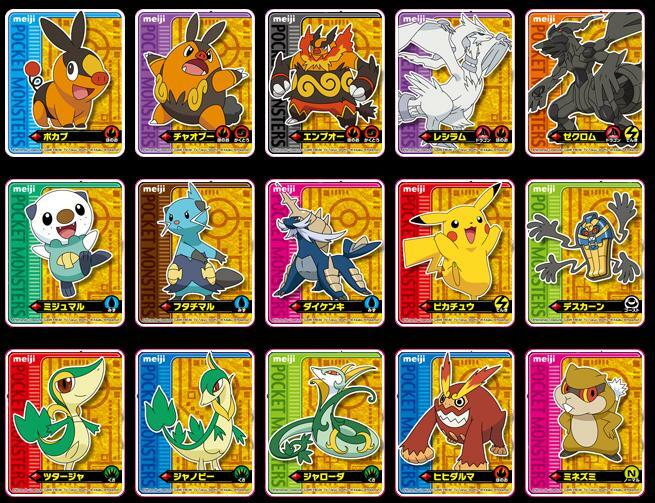 Takara Tomy ARTS (TTA) will release the following figures of Pokemon BW Open ball Mascot in the end of May 2011. Gashapon toys, figure height 2.5cm. Will replace the photo later. Also DP/HGSS series was released in August 2010. Children education magazine Youchien (March) from Shougakukan has been published on 1 February 2011. 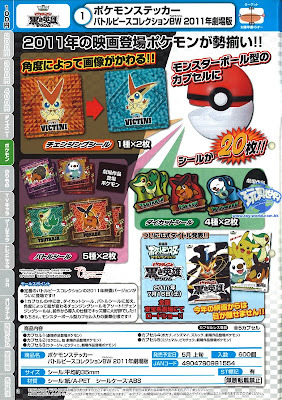 In the magazine, there is the following Pokemon stamp set as freebie. BTW, Pokemon information magazine Pokemon Fan Vol.16 will be published on 18 February 2011, not sure about the contents and freebie at the moment, will post details later. Bandai will release the following figure lights in May 2011, capsule toys. When plush to the figure, LED turns on. Wil upload the photo later. As for BW1 set, please refer to this post. Sunroty starts the promoion of softdrink CC Lemon/CC Lemon ZERO on 1 February 2011, a Pokemon magnet is attached with 1.5L bottle. 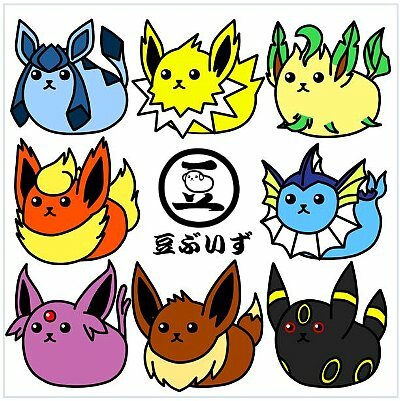 Starting new Eeveelution collection series ? With Mameshiba ?? 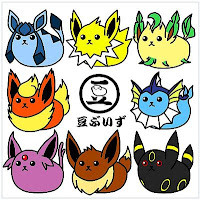 It's a fan art, posted it to pixiv, named MameVees (beans eeveelution), then is cascading in twitter day by day. 2nd pic is also craft work based on MameVees. Thanks for the images and credit goes to @lucario0220. 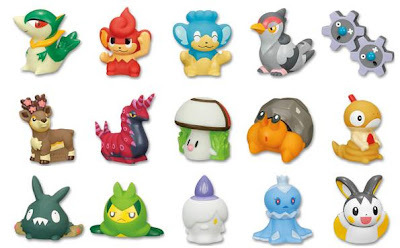 Bandai will release the following 15 figures of Pokemon Kids BW 4 in middle of April 2011, candy toys. Sneak preview is shown in this page. Will replace the official photo later. 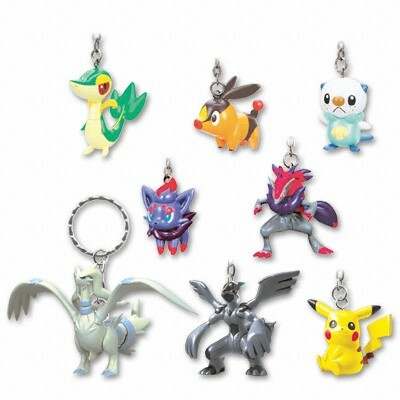 Pokemon official fan club site in Japan updates the following monthly present. As for Emonga plush, it will be available on 5 February 2011 at PokeCenJP as well. Banpresto will release the following 8 figures of BW figure key chain in the middle of February 2011, height 4cm game prize, peal color cording. Figure poses are same as November and December released.